With less than a month to go, the Corinthian and professional teams are putting the finishing touches on their preparations for the 71st edition of the Rolex Sydney Hobart Yacht Race which will start on 26 December. With teams from 28 nations competing, the ultimate goal is to win the Tattersall's Cup trophy and take home the engraved Rolex timepiece that will be awarded to the race's overall winner. It is expected that George David's Rambler 88 which took line honors in the Rolex Middle Sea Race in October, will be a strong contender to win the race, together with Belgian entry Leon which as Courrier du Leon, was the winner of the 2015 Rolex Fastnet Race. Returning to Australia again this year for the 2015 edition of the race is Jim Clark and Kirsty Hinze-Clark's 100 foot maxi, Comanche. Following on from their impressive performance in the Rolex Fastnet Race earlier this year, the American team is focused on their goal to beat the course record and take line honors, having been second over the line in 2014. In preparation, skipper Ken Read has reduced his crew to 20 star-studded professional sailors, while adding Australian America's Cup winner Jimmy Spithill to the list. 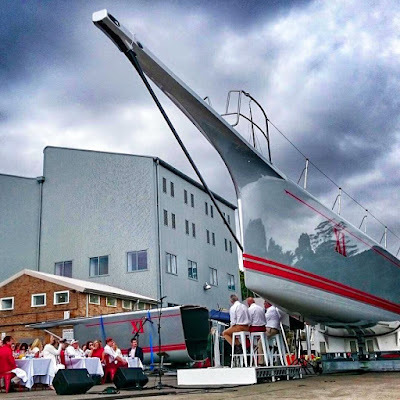 Comanche's sights will be clearly set on Bob Oatley's Wild Oats XI, the eight time line honors winner which has undergone a radical refit in the last few months. Wild Oats XI currently holds the race record of one day, 18 hours, 23 minutes and 12 seconds.